Choosing for the best social media platform to utilise on your business can indeed bring wonders to the development of your business. 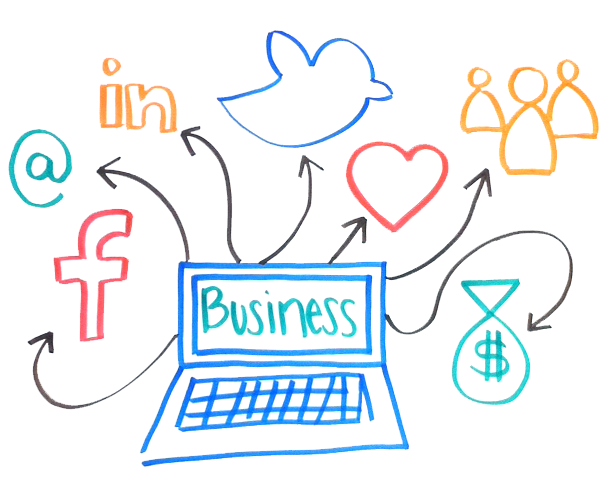 But how can we really decide on what social media platform to use to effectively improve our business? In this content is a brief overview of the most significant platforms as they pertain to your business needs. Pinterest Pinterest is a social media platform wherein members can post or pin photos and videos on their pinboards. Women are commonly the dominant users in Pinterest but surely, this website is also ideal for business. It sells visually as images and videos are the only contents they share. Remember to take impressive and catchy photos from your business so you can easily sell on this site. LinkedIn LinkedIn is networking site wherein professional business owners, freelancers and employees gather. They make their networks grow through connections from different parts of the world. It is indeed a great platform because for example, your company is one of the professional firms, then your target market can be mostly found on LinkedIn. YouTube YouTube is one of the most powerful social media tools as it can sell your business through enticing videos. As we all know, people nowadays are more driven to visually selling products that’s why YouTube can surely become an effective tool. Plus, it has billions of users registered and billions of people watching videos from it every day. Twitter Twitter has been also one of the most popular social media platforms. It is very popular for teens and adults raging from ages 13-25. But also, business owners utilise it because of the massive traffic it might cause by just using hash tags (#). You can also reach your audience here individually through direct messages and mentions (@). Facebook Facebook is the most powerful among all the social media platforms in the internet. The number of users is indeed a proof for every business that it can drive a lot of traffic on their website. Billions of users sign in to Facebook each day. And through Facebook page, you can promote your business page to your target market. You can post valuable posts regarding your business. But first, before you could encourage people to your business, you should initially reach out to them and build relationships. Being sociable is one of the key to succeed in Facebook for your business. Now that you have a knowledge regarding the best social media platforms, you may now pick the best for your business and simply, if you can’t manage them all, you may just hire someone to look after it and accommodate queries from your audience. But in spite of everything, you should still be involved in every social media platform you use for your business. Why Should You Invest in High Quality Website Design?